"The controller we have created is like wearing my childhood round my neck"
We recently came across a UK based hip-hop producer and DJ by the name of Imperial, who makes quite a striking impression with a strange musical instrument strapped around his neck, which has parts that might seem very familiar to our readers. 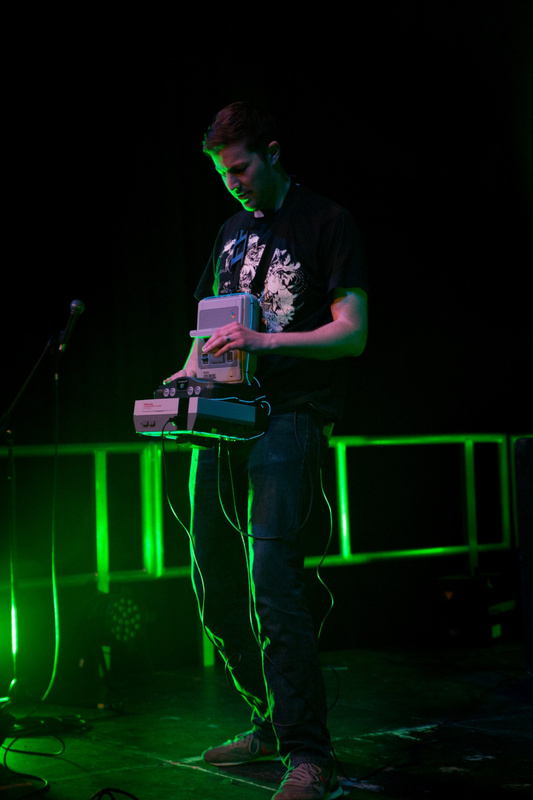 This musical instrument is made up from a NES, SNES and N64, but with a serious number of mods and switches added in. 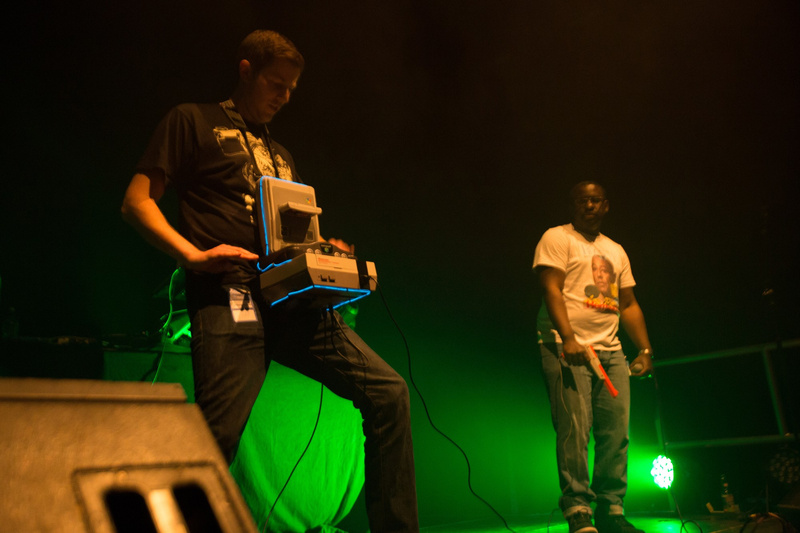 It allows Imperial to blend live performance with pre-prepared gaming sounds, bringing nostalgia and some great music. Imperial calls this modified amalgamation of classic consoles the 'Nintendo Entertainment System', riffing on the full name of the NES. Imperial feels that it sums up the controller perfectly, and it's hard to disagree. We caught up with the musician to learn a little more about this, and some video and music is also included near the end. What inspired you to put these classic consoles together to make music? I was raised on Nintendo consoles, so much so that you could say that Mario was like a second father to me! But in all seriousness, I started with a NES then progressed onto the SNES and naturally moved on to the N64. The controller we have created is like wearing my childhood round my neck as some sort of badge of honour. Of course, I had Duck Hunt so we had to get the gun and include it for this. As for combining that with music, I've always enjoyed the live show element of Hip Hop that branches away from turntables, for example Jurassic 5 use various drum pad triggers and oversized turntables in their live show and I wanted to have something that worked for me and had that personal connection. I was chatting through ideas with my brother-in-law James, and we hatched a plan. What modifications were made to the consoles in order to create this musical masterpiece? Brother-in-law James: Unfortunately they all had to be gutted. The spring section and the cart slot for the SNES were retained, but the PCB's were cut out. The N64 kept all of its internals, but the board had to be cut in half because there was some interference across some of the buttons that we wanted to use. Wood was shaped and bolted to the back internals of the N64 (where the power would normally plug into) to enable a solid mounting to the backboard of Plywood. The NES had most of its internals removed, but the mechanism for the cart loading was retained. A Makey Makey board was used because we felt that buttons mounted onto the surface of the consoles would ruin the look of it. Makey Makey means that the body of the person playing it can form the circuit needed to trigger a sample. The performer just needs to plug a jack into the base of the NES, and the other end of the wire goes to a clip that sits inside of the waist band. In most of the seams where plastic shells meet on the consoles there is a strip of copper to which wires are connected to the Makey Makey. Hitting these strips of copper completes the circuit and a sample is triggered via a laptop connected via USB (socket under the NES, next to the jack connector). In addition to the copper strips, each of the buttons that are on the consoles also trigger a sample, the light gun for the NES has been rewired to also trigger another sample. The challenge was to build it all so it was durable enough to be hit repeatedly and also so it could all be taken apart. There are about 4 runs of CAT-5 connecting everything up, a USB cable and the cable to ground the performer, so getting it all screwed together again was a nightmare! Can you tell us a bit about the samples you use with the controller? They say playing Mario feels like playing a musical instrument. I learnt recently that all the sound FX are synced to 100bpm which is the tempo the theme tune runs at, hence the musicality of Mario. This is super cool as whenever I trigger the samples they will always fit the tempo of the theme song. The samples I use are a mixture of drum samples and Nintendo sound FX plus the original Super Mario Bros. theme tune. I tried to choose recognisable sound FX that we all associate with the Nintendo for example the 'one up' and 'coin' sounds. What reaction do you get when you bring out the controller in your live sets? I Produce and DJ, and with my man K.I.N.E.T.I.K. who is an emcee we are in a duo (Imperial & K.I.N.E.T.I.K.) and it gets used in our live sets. When I bring out the controller I think people are initially confused, typically in Hip Hop it's two turntables and a microphone (which of course we use) but when I trigger the huge 808 kick drum, people quickly lock in to what's going on and it goes down very well. It's just a bit of fun and people respond to that. We have a song called 'Memory Lane' that reminisces back to the 90s and how life was much simpler then. Half way through the song I bring out 'Nintendo Entertainment System' and we finish the song together with vocals and the controller. I then have a small solo set playing along to the Mario theme tune triggering various classic Nintendo samples. I have a few nice nice twists along the way but you'll have to see us live if you want to know more. Imperial recently did a video for the BBC's Make it Digital campaign, which shows him demonstrating the awesomeness of the 'Nintendo Entertainment System'. Be sure to check it out and let us know what you think with a comment below. Thanks to Imperial for taking the time to speak to us. I much prefer the music those consoles made before they were gutted, but oh well. That is one crazy setup. Looks like he's making sweet love to that NES! @Moon. I agree.. I see tons of cool mods with old systems but cant bring myself to gut a system of my own. It would be neat if Imperial modded up a Power Glove to use lol..
That's pretty awesome. Would certainly take some skill. I know it's might be hard to find story's but I'm glad to see music articles return to Nintendo Life. Either way much love to Imperial for branching out hip hop.